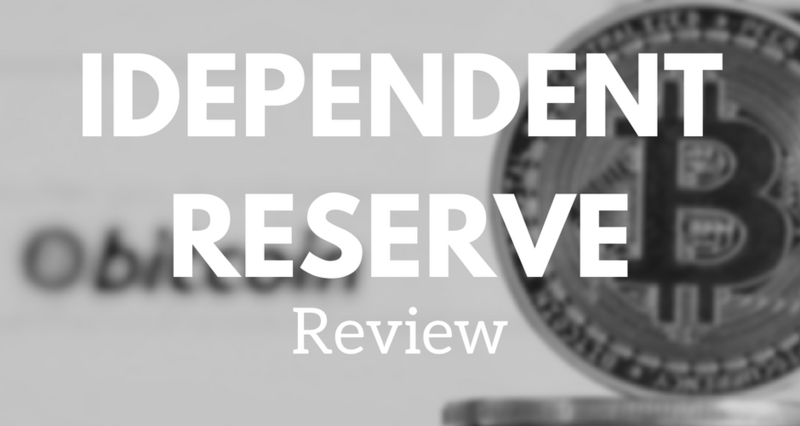 Independent Reserve Review 2019 - Fees, Limits & More. The world of Cryptocurrencies has grown exponentially, and the chances are high you’ve heard of Independent Reserve. IR is a Bitcoin and Digital Currency exchange where traders, investors, and other people meet to buy and/or sell Bitcoin, Litecoin, Ethereum and Bitcoin Cash. In this Independent Reserve review, we’ll go into details regarding the exchange, what’s it about and the assets they have on offer. *Although you may have seen the symbol (BTC), some exchanges choose to use the (XBT) symbol. It is simply a matter of preference of the exchange. Further, IR is proud to be among the first exchanges to be regulated by the Australian Transaction Report and Analysis Centre (AUSTRAC). The centre is mandated with the role of ensuring institutions are in compliance with the Counter-Terrorism Financing and that the customers’ wellbeing is taken into consideration. The exchange operates in a highly regulated financial sector and works hard at ensuring security for data & assets and openness in all the transactions they facilitate. Founded in 2013 in Sydney, Australia, Independent Reserve is among the first Bitcoin exchnage platforms to make trading available in Australia and New Zealand. The company takes pride in its robust foundation and terms it as the result of a 15-year partnership between Adam Tepper and Adrian Przelozny. Both are specialists in digital platforms & security, and they envisioned an exchange that people can understand, use and trade easily. And to achieve their dream, Adam and Adrian brought on board market experts and have managed to drive knowledge, security, and transparency every step of the way. Although Adam passed away six months after the launch, Independent Reserve is growing stronger by the day, and they’ve achieved a considerable amount of milestones since. The mission of IR is to convert digital currency tech into secure, strong financial services and to have things done in the right way. Adam’s visions are the pillars that drive this exchange in setting higher standards in their efforts to make digital currencies more accessible and become the premier Cryptocurrency Exchange in Australia. Without a doubt, the Cryptocurrency world has seen lots of exchanges enter the market, but few can rival Independent Reserve. The moment you visit the website, you’ll discover incredible professionalism, something you’ll rarely find in other sketchy-looking exchange platforms. Despite their level of experience, users are guaranteed of an easy-to-navigate site, something that has given this cryptocurrency exchange a competitive edge. To start doing your trades, you’ve to create your account and enter accurate personal information first. Upon the verification and activation of your account, it’s time to start buying and selling at Independent Reserve. The platform offers a wide array of trading options in Cryptocurrencies and digital currencies. So, if you’re a beginner, make sure you’ve done your research before you can start your trading journey in the various assets available in the market. The exchange platform allows trading 24/7, which means you can choose the most convenient time to do your trades. So to buy Ethereum, Bitcoin or any other assets, you’ll need to log into your account, deposit funds using AUD, NZD or USD, then follow the prompts to purchase your chosen asset. And if you want to sell Ethereum, Bitcoin or Litecoin, just fund your Independent Reserve wallet with your chosen asset and submit a sell order. Upon completing the trade, you can choose to store your money with on the exchange for safekeeping. Alternatively, you’re free to withdraw your money to your bank account or the asset to your personal Ethereum or Bitcoin wallet. Independent Reserve allows trading in 3 currencies: USD, NZD and AUD. You’re free to credit any of your accounts when depositing money into your Independent Reserve account. Besides, IR has a unique multi-currency order book that converts all the open orders into your preferred currency automatically. Users can take advantage of the pool of open orders to land the best possible prices in Bitcoin and Ether regardless of their base currencies. The feature allows someone trading in AUD to buy or sell to or from a person trading in USD or NZD and vice versa. To buy Bitcoin or any of the other assets, you have to deposit money into your Independent Reserve account via Electronic Funds Transfer (EFT). Australian customers will first need to link an Australian bank account that matches the name on your Independent Reserve account – this is a requirement of the Australian Anti-Money Laundering (AML) regulations. Once your account is linked, you can transfer your Australian Dollars into your IR account. The best deposit option for international customers is SWIFT deposit through the Independent Reserve bank account. What are Independent Reserve’s Fees & Charges? The fees incurred for the deposit and withdrawals on Independent Reserve are dependent on the asset type and the amount. There are no deposit fees for EFT deposits of $100 AUD and above, but deposits below that incur 0.99% in processing fee. International customers making SWIFT deposits of $5000 equivalent and above to the exchange’s bank enjoy free service while any amount less than that attracts a $15 processing fee. All cryptocurrency deposits are free. When it comes to withdrawing, the best option of cashing out is in Australian AUD as it is free for all. If you’re not Australian residents, you’ll incur a $20 fee for international or non-AUD withdrawals. Trading fees vary between 0.01% and 0.05% are dependent on the asset and how much you have traded that asset within a 30 day period (called 30 Day Trade Volume). See below for a full rundown of the trading fees. As far as IR is concerned, there’s no limit to how much you can deposit in your currency of choice. In fact, the exchange encourages higher SWIFT deposits to the exchange’s bank account by charging zero deposit fees if you deposit $5,000 equivalent and above. Electronic Funds Transfer deposits of any amount above 100 AUD is also free. Besides, Bitcoin and Ether deposits are free of charge, and once again, there are no limits to the amount you can deposit into your Bitcoin or Ether wallet. And when it comes to withdrawals, there are no maximum limits to how much you can cash out in one go, but there are minimum withdrawal limits. Australian customers can withdraw in AUD for free while international customers making non-AUD withdrawals can only cash out $50 and above and incur a $20 processing fee. Other applicable withdrawal fees are as outlined above. When withdrawing the Cryptocurrencies, there are limits to the minimum you can cash out. The bottom line is that there are no limits to the amount you can deposit, but there are minimum withdrawal amounts. What are the Transaction Times? If there’s a grey area notable in Independent Reserve, then it’s the time it takes for a transaction to complete. Electronic Funds Transfer Deposits are processed within 1-2 business days. International customers who deposit funds into the exchange’s USD, NZD bank account using SWIFT Transfers should expect the cash to reflect in 2-3 days. The exchange recommends deposits in USD or NZD, as they have no control over other currencies. Due to the delay, buyers and sellers looking to take advantage of certain exchange rates might miss out on some opportunities. Independent Reserve shines in the Cryptocurrency deposits. Once you have deposited into your unique e-wallet assigned to you, it takes 10-15 minutes for the funds to appear in your account and 20 minutes for it to be available for trading. When cashing out, you can choose to have Independent Reserve safely keep your money, withdraw it to your bank account or into your own cryptocurrency wallet. Any amount or assets withdrawn from your AUD, USD and NZD account may be transferred to bank accounts held in supported countries. Typically, AUD withdrawals to Australian bank accounts are processed the next business day. It takes 2-3 business days to withdraw money from your Independent Reserve USD account to a local Australian AUD bank account, as the funds must first be converted into AUD. For Cryptocurrency withdrawals, follow the prompts via the Accounts screen. They’ll require you to enter a crypto address where to send the Cryptocurrency. Sometimes, Independent Reserve flags some amounts for manual reviewing by staff, which may delay the process by a little bit. But then, that’s just to ensure your funds are secure. Day Trading or Investment Platform? Independent Reserve is perfectly capable of working both as a daily trading and/or investment platform. That’s because, compared to other exchanges, the exchange has super low service fees, as low as a measly 0.1% in trade commission. Besides, the multi-currency trading in which a multi-currency order book automatically converts all of your open orders into the currency of choice grants traders an excellent opportunity to benefit the best possible prices. In this case, someone trading in USD can buy directly from another person trading in NZD or AUD and vice versa. If you’re looking for an exchange that takes the security of your digital assets seriously, then you can be sure your funds will be safe with Independent Reserve. They’re working round the clock to enhance the current security measures already in place. What’s more, for physical security, Independent Reserve has core servers securely located at two Tier 3 data centre in Sydney, Australia. Independent Reserve take customers’ data and information seriously and protect it by making sure it’s signed and encrypted multiple times using geographically dispersed private keys. They have a cold storage featuring multi-layer encryption, which is then stored in secured vaults spread in diverse geographical and unauthorised access locations. As such, you can trade knowing your digital assets and personal information are safe & secure, now and in the future. Other than the measures taken to ensure physical and platform security, Independent Reserve has a track record in account security given the security measures they’ve made available for customers. When signing up, they insist on a strong, hard-to-crack and lengthy password. And if for any reason you’re not comfortable entering your official trading account credentials, they allow you to create access your account using a duress password. After using a duress password, they suspend the login after 24 hours. To secure your trading account further, the exchange offers a Two-Factor Authentication option. Once a user enables the 2FA, entering the username and password will still not grant you access to your account. The user needs access to a mobile phone and or rather a third-party device for authentication to be allowed to log in. The exchange also restricts login to your account using new or random IP addresses, all with the goal of ensuring your personal information and funds are secure. If this happens, you’ll simply have to enter your date of birth and postcode to verify your identity. What is the Customer Support Like? Independent Reserve takes pride in its highly responsive customer support team. They have availed various channels of making inquiries either for old and new customers. If you have any questions, you can contact their excellent support team via the Support screen. As a customer, you can be sure the Support screen will allow you to send them messages securely since all the account-related sensitive information is protected. New users experiencing trouble logging in can contact the team at support@independentreserve.com. As always, the fastest and probably the most convenient way to find answers to common issues regarding any crypto exchange is to check out their FAQ section. That can save you the time it takes to compose an email for a typical query and await a response in a few hours or within a day. Just visit their official page, proceed to the FAQ section and check if your question has been answered previously. Creating a trading account with Independent Reserve is free and takes only a moment. All you need is to visit the site and click on the Create Account button conveniently positioned at the top right-hand corner. Simply enter your name, and password and in a minute or less you’ll have an account with Independent Reserve. Please note that it’s vital that you provide accurate personal info before the exchange can verify and activate your account. And once your account gets activated, you can embark on the task of securing your account. The exchange insists on long, strong passwords and allows you to create a duress password that you can use to log in whenever you’re not comfortable using your official account login credentials. What follows after are two-factor authentication (highly-recommended), and phone number, email & identity verification. Is there an Independent Reserve App? While Independent Reserve is yet to develop a mobile app, they have the platform optimised for mobile. Optimising a site for mobile encompasses various aspects such as site design, structure of the page, page load speed, and more so visitors can access and navigate the platform with ease. The company has optimised the site for mobile such that users can access their accounts and trade right from their devices so long as they have an internet connection. There’s no denying that Independent Reserve is one of the highest quality Bitcoin exchanges out there. In this section, we’ll wrap things with the good and bad about the platform. Cryptocurrencies have started to dominate every aspect of the global economy. It’s possible that in a few years, we’ll be using digital currencies to pay for most goods and services. Independent Reserve is one of the biggest players in the Cryptocurrency and digital currency market in Australia and on a global scale. They’re licensed and regulated by AUSTRAC, take pride in their strong foundation and believe in transparency. Independent Reserve has taken all measures to provide a user-friendly and mobile-optimised platform that beginners will find easy to navigate. Aside from the low service fees and zero maximum deposit limits, Independent Reserve takes pride in proving a safe and secure platform to purchase your crypto. Despite the few shortcomings we noted above, the exchange has attracted rave reviews from a huge number of customers. We believe Independent Reserve is an outstanding exchange for beginners and veterans alike, both in Australia and New Zealand.